The second 105 series Landcruiser on modified. This one is very well travelled and has seen some of the roughest tracks in the country and hasn’t missed a beat. 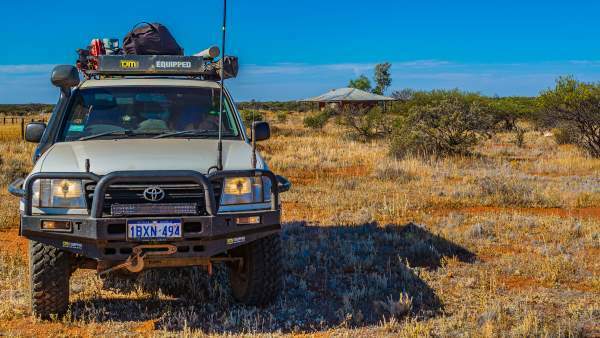 Jason and his wife have built/modified this 105 series Landcruiser to what they really need more than what you’d want! This really cuts down on weight when compared to your average 4wder that bolts on a lot of stuff that might not actually be used at all. This build is a great mix of DIY and quality products so money has been spent but only where required and it really shows it in the episode. What may not seem like much from the outside is actually hiding a lot of cool mods. Jason and his wife have joined us on a tag along a while back so it was a great surprise to see them both on the east coast. · Dual battery system (home designed and installed) comprising of an Optima Red Top 800cca start battery and a Full River 120a auxiliary battery managed by the CTEK D250S battery management system which automatically switches between alternator input to solar input once the panel is connected. · Power distribution via 3 merit sockets, 5 cigarette sockets (3 factory) and 5 USB ports. · Old Man Emu 2-inch lift front and rear. Rear rated constant 400kg to GVM. · Drifta carback combo vertical comprising the fridge box fitted with the Drifta fridge slide system, single drawer, laminated free-standing table and the Drifta two drawer carback kitchen. On top of this unit is custom designed storage from Drifta that holds our awning walls, Cgear matting, peg kit, toilet and the 160w ITECHWORLD solar panel. On the front side is where the sand flag is stored. 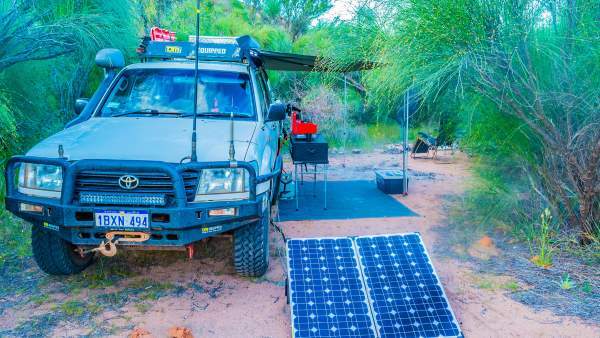 · Replaced the rear seat with a custom home built raised deck with storage underneath for the swag awning, rope bag, sand pegs, water collection kit, extra LED lighting kit, ensuite tent and a compartment to house the auxillary battery. · Autosafe cargo barrier (also supplied by Drifta) fitted behind the front seats provides storage for an axe, entrenching tool, first aid kit, tyre deflator and a compartment organiser and EPIRB on the front side. · MSA Dash Pod holding torches, tyre gauge and fly nets. · 50ltr water tank fitted in front of the deck. It’s a 105 they are unstoppable wherever you put them, never let me down offroad yet. 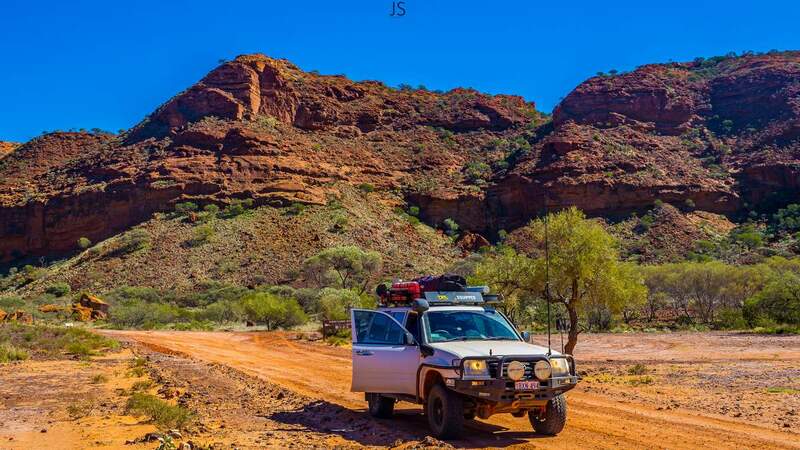 Returning from two weeks in Exmouth we were going into Ningaloo Homestead along the heavily corrugated access road. About 10kms from the homestead we lost the left rear wheel. The alloy rim had failed, loosened the nuts and the wheel departed into the scrub. Fortunately, damage was limited to the rim and could, with assistance from other travellers, recover the vehicle, effect repairs and get home. Research, research, research and if you can, do a lot of the work yourself. This will save you money and give you a better understanding of your vehicle should something go wrong out bush. 1. Be wary when ordering a rear bar from Powerful 4x4 ensure they send you the right bar and replace every factory nut with nylocs. 2. If doing long distance touring, and you can afford too, replace the factory fitted seats. Having the Recaros fitted has made a major difference to how we pull up at the end of a long day driving. 1. . Recaro seats – for the distances we do they make all the difference to how you pull up at the end of the day and to be able to get back in and do it all again the next. 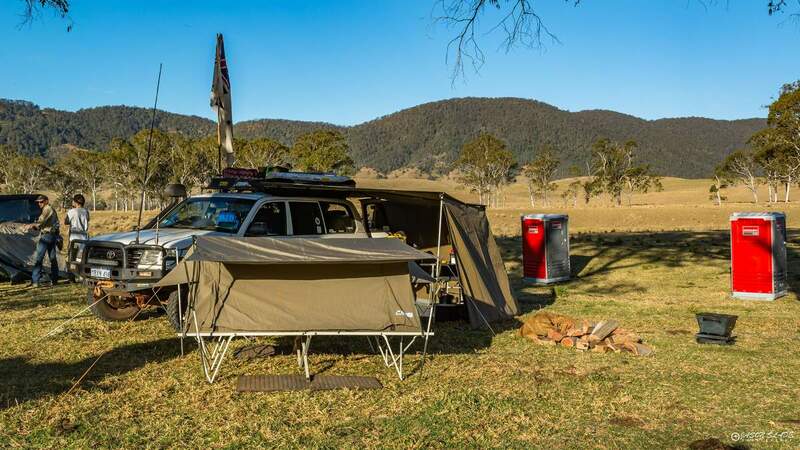 2. . Supawing awning – we vehicle base camp so having a large under cover area is extremely important to us. The Supa-wing from Drifta covers 270 degrees and is made from heavy duty Australian canvas. 3. . Storage – Having a good quality and organised storage unit in your vehicle is a must. Our unit from Drifta that incorporates our fridge has been fantastic and can’t fault it. 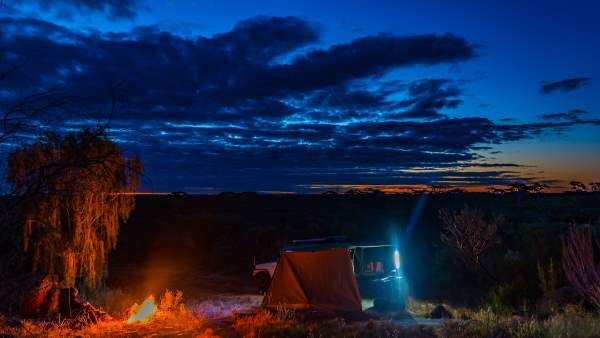 What made you decide to choose the 105 series Landcruiser ? 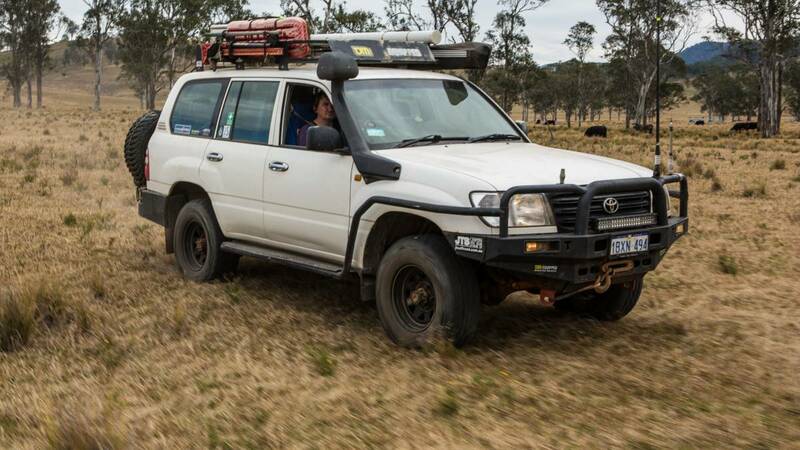 For its size and weight this vehicle is unstoppable and we have taken it into some pretty rugged places. Not that I have a real problem with it, but the engine could do with a bit more power. For over 25 years I have had plans for fully modified remote touring vehicle initially based on a 40 series then a 55 series then a 60 series as the years went on. Then I was finally able to purchase a vehicle and I went for the 105 series. We like to go remote but we also like to be comfortable so the 105 series fits that bill nicely. The 105 Series Landcruiser Modified Video. 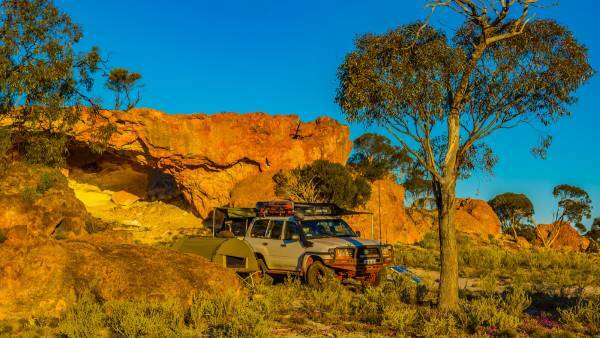 Leave 105 Series Landcruiser And Go 4 Wheeling In Western Australia.